Dark Lies the Island is a wickedly funny and hugely original collection of stories about misspent love and crimes gone horribly wrong. In the Sunday Times Short Story Award–winning "Beer Trip to Llandudno," a pack of middle-aged ale fanatics seeking the perfect pint find more than they bargained for. A pair of sinister old ladies prowl the countryside for a child to make their own. And a poet looking for inner calm buys an ancient inn on the west coast of Ireland but finds instead rancorous locals and catastrophic floodwaters. Kevin Barry's dazzling language, razor-sharp ear for the vernacular, and keen eye for the tragedies and comedies of daily life invest these tales with a startling vitality. 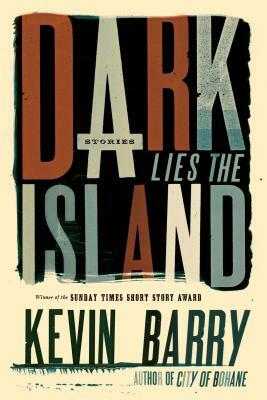 Dark Lies the Island was short-listed for the Frank O'Connor International Short Story Award, and as one of the most acclaimed collections in Europe in many years, it heralds the arrival of a new master of the short story. Kevin Barry is the author of City of Bohane and two story collections. He has won the European Union Prize for Literature and the Authors' Club Best First Novel Award, and was short-listed for the Costa First Novel Award. He lives in County Sligo, Ireland.